Here, ∠1 to ∠8 are the angles formed by these lines. Let’s learn what they are. 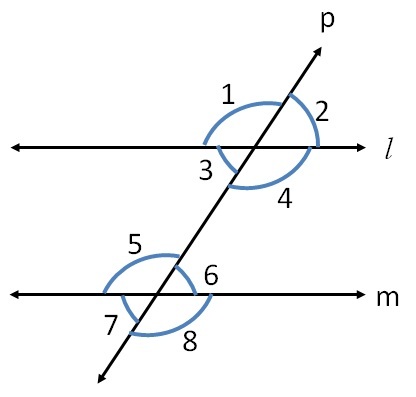 Let us consider two parallel lines l & m with transversal p Here, ∠1 to ∠8 are the angles formed by these lines. Let’s learn what they are.